Be the best looking team at the Auckland Marathon in 2016. With the event just under a month away it’s time to get your team-wear all sorted. Every year we are inundated with companies wanting last minute projects done, we of course do our best and as you probably know we specialise in quick turn around, but inevitably it means that some of them miss out. We always try and make anything happen, but it definitely pays to get in early and avoid the rush. We’ve put together a deal specifically for the Auckland Marathon. When you contact us please reference “QUICKDRY16” and we’ll make sure you get the discounted rate below. Prices include all setups and shipping. Free sizing samples available as required. 7 day turn around guaranteed for all past customers. Free 30 minutes design time if required. Of course if you are printing something that we already have setup, then the prices will likely be less per unit, depending on the quantity you are after. 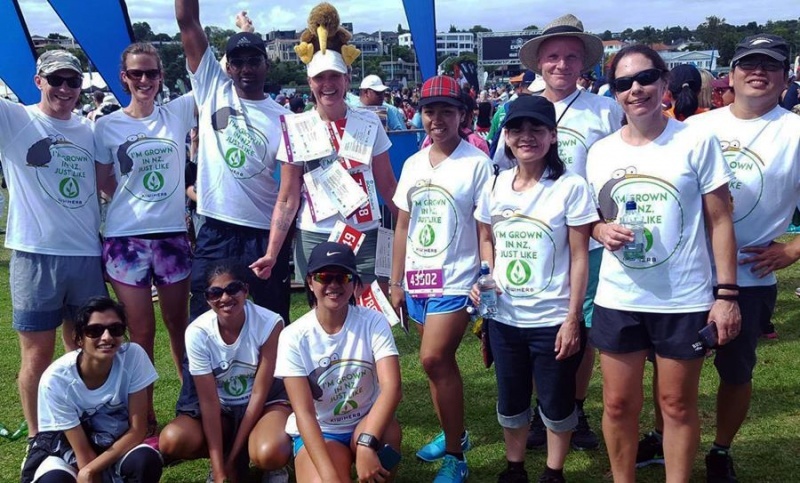 “Just a quick note to say thank you so much to you and the Custom Clothing team for your awesome customer service, speedy turn-around time and of course, for our amazing t-shirts for Round the Bays! The team really loved them and we really stood out in the crowd!